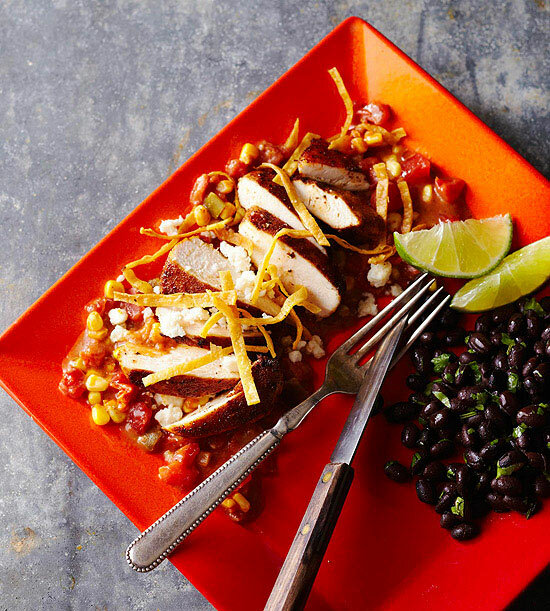 Spice up your supper with flavorful and healthy Mexican recipes. 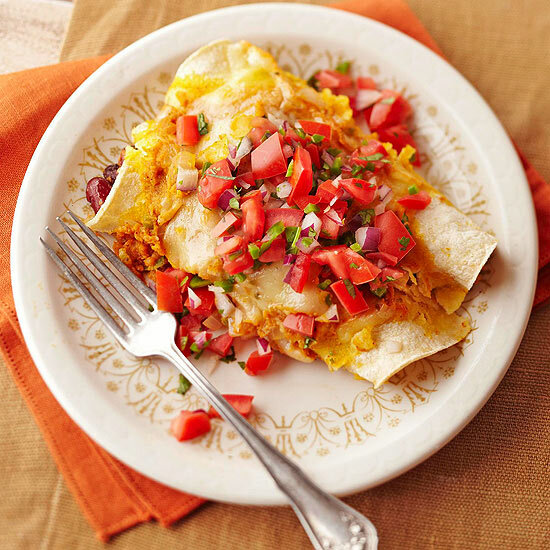 Quesadillas, tacos, fajitas, nachos — any of these south-of-the-border recipes will hit the spot. 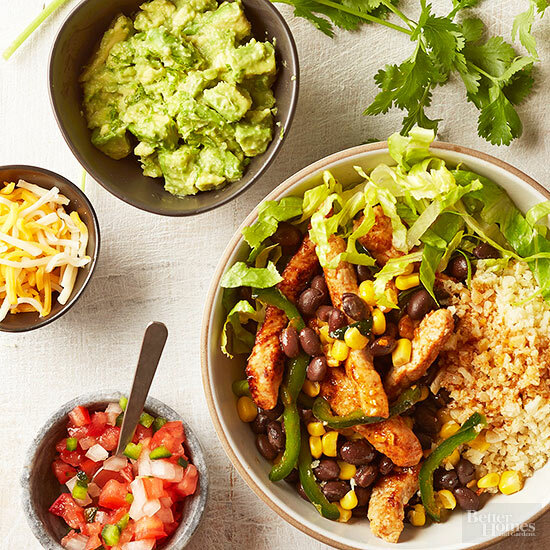 We’ve cut the fat, sodium, and calories so these Mexican recipes fit your healthy eating plan. 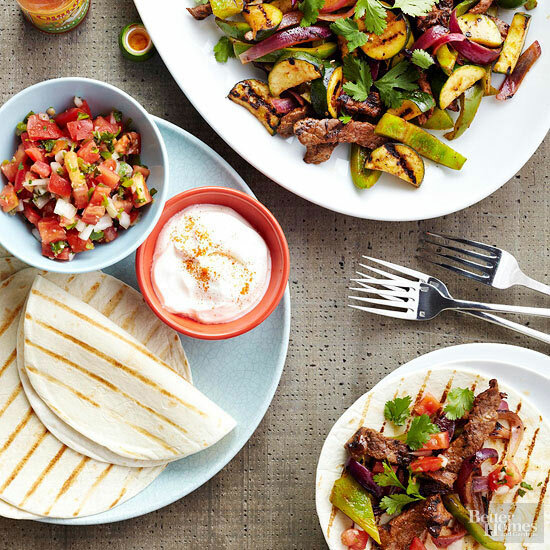 These fresh and flavorful fajitas get their spunky flavor from a chile-lime marinade. 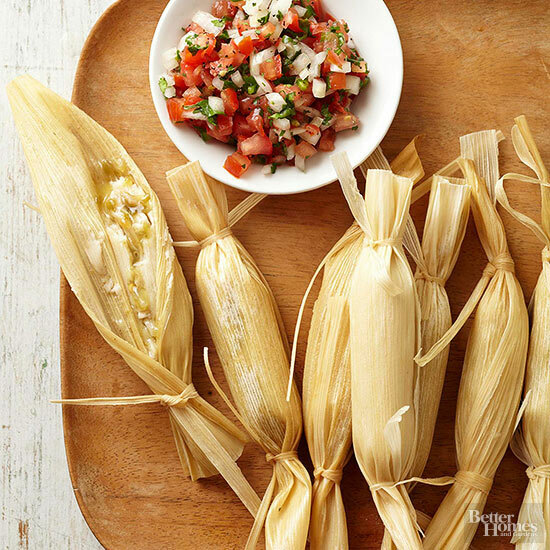 Serve with seasonal veggies for a better-for-you grilled Mexican dinner recipe. 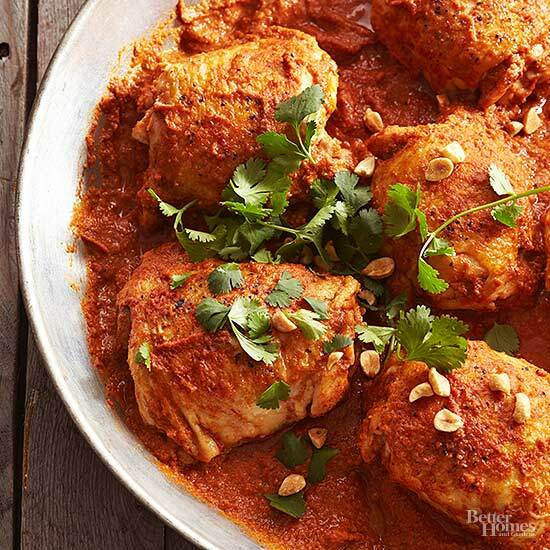 Tender, juicy chicken thighs in a spicy peanut sauce — at less than 400 calories per serving? Yes, please! (Psst, you can discard the chicken skin to save additional calories.) 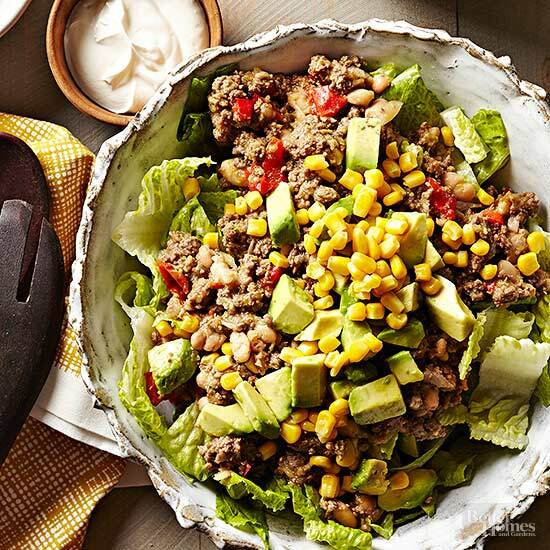 Round out this delicious Mexican recipe with a side salad or crisp-tender steamed veggies for a healthy meal. Two ingredients are all you need to make tortillas at home with no ingredients you can’t pronounce. 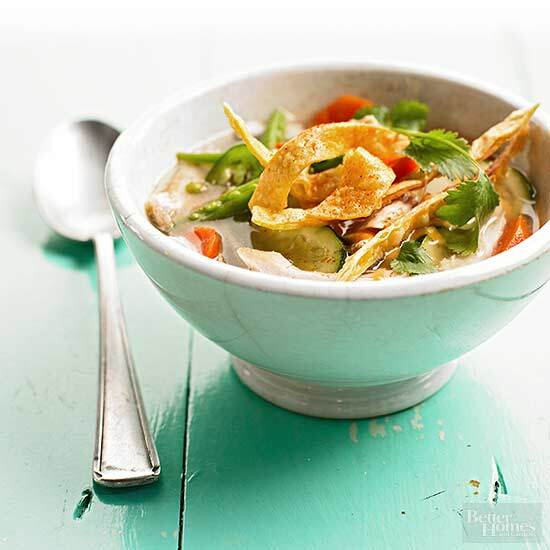 This is not your ordinary chicken soup recipe. 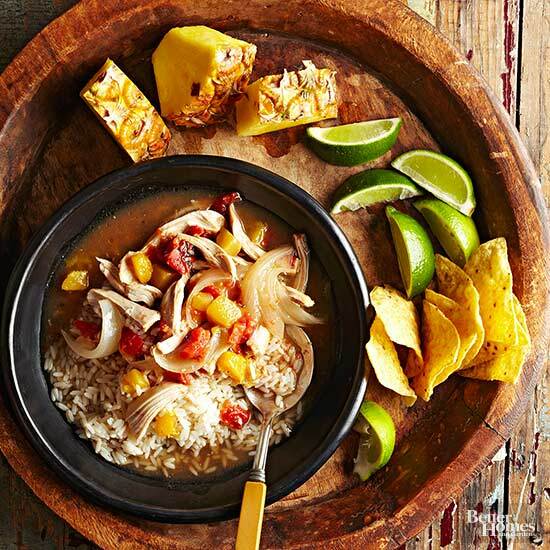 Stuffed with fresh veggies and roasted chicken, this low-calorie bowl of comfort incorporates ground ancho chile pepper, fresh jalapenos, and crunchy corn tortilla strips for serious south-of-the-border flavor. Not all Mexican recipes are rich and heavy. 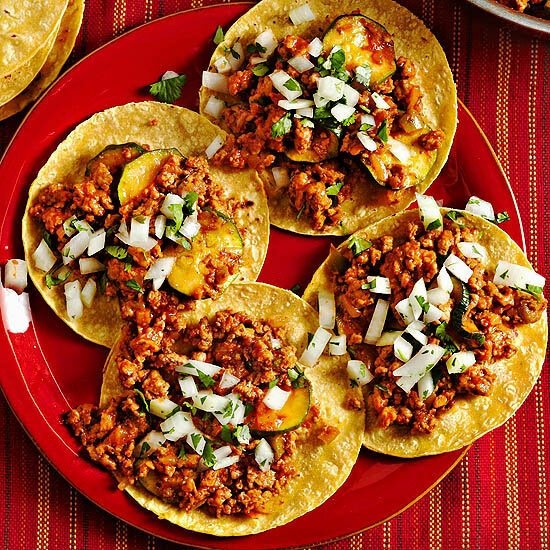 For a chorizo substitute without all the fat and sodium, spice up ground pork with a blend of salsa, ground chile pepper, oregano, cumin, and cinnamon. 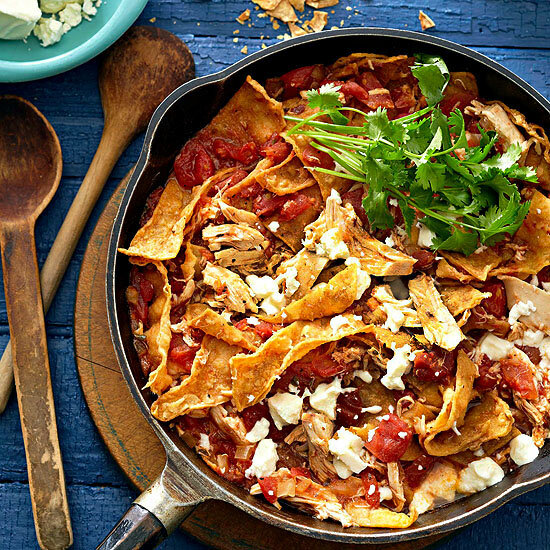 The lean pork pairs perfectly with corn tortillas and a sprinkle of chopped onion and queso fresco. Everyone knows queso fresco is a fabulous topper for soups, salads, and tacos. But did you know this crumbly Mexican cheese can easily be made at home? Just follow our Test Kitchen-approved tips and tricks! 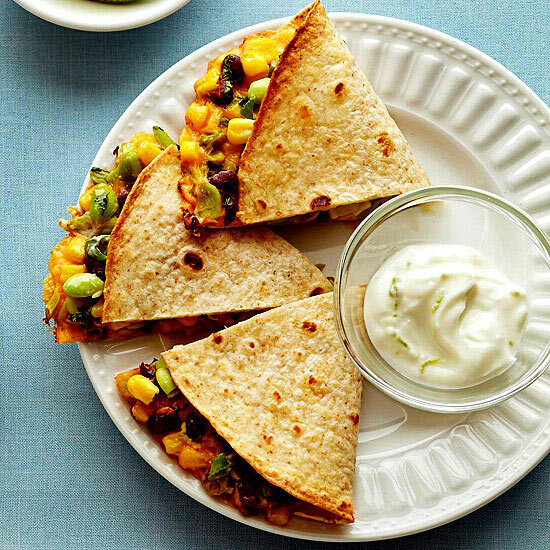 Serve these healthy quesadillas as an appetizer at your next fiesta. 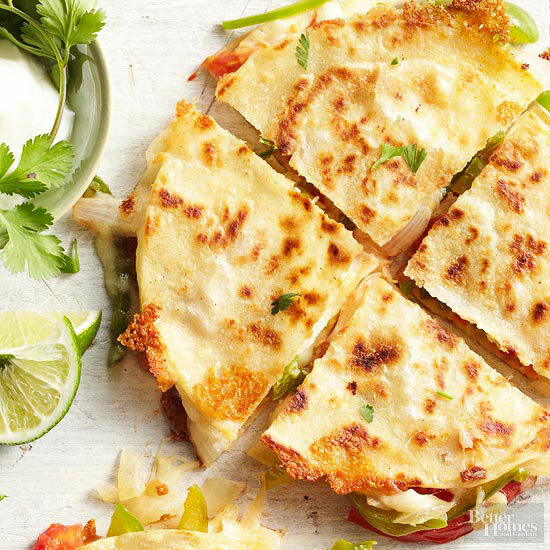 Stuffed with fresh, colorful vegetables and gooey melted cheese, these fajita-style quesadillas have just 60 calories per serving — so you can snack guilt-free! 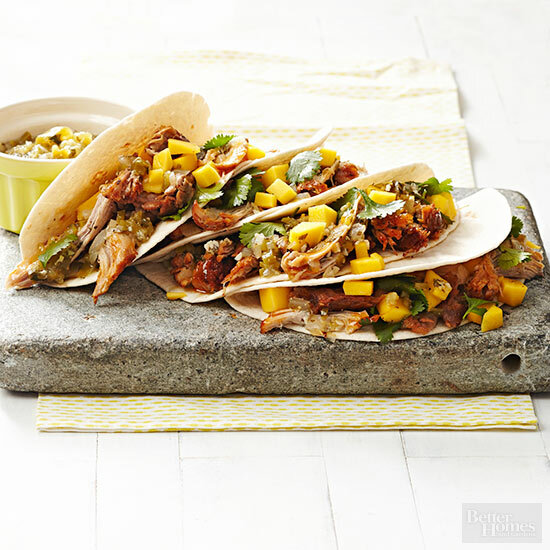 Flavor succulent chicken thighs with a zesty fiesta-lime seasoning, then wrap them in flour tortillas with an array of bright peppers. 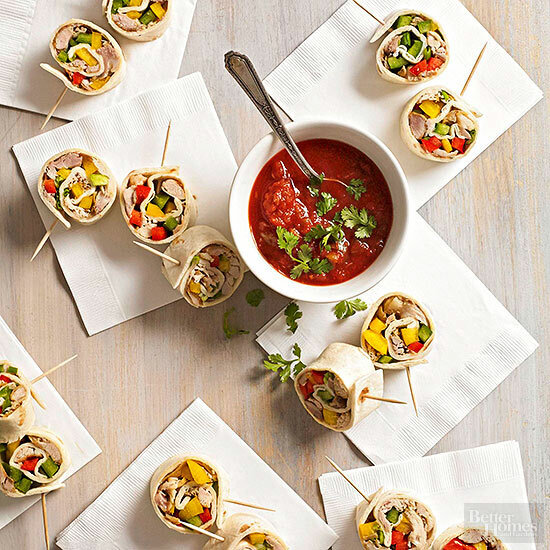 These colorful fajita wraps are a delicious, low-fat appetizer option for your next taco party. Say “Buenos dias!” with this traditional Mexican breakfast recipe. Queso fresco and sour cream balance the heat of chipotle-spiced chicken and tomatoes for a healthy breakfast that’s sure to wake you up. Brighten baked tilapia with green olives, golden raisins, capers, and cherry tomatoes. 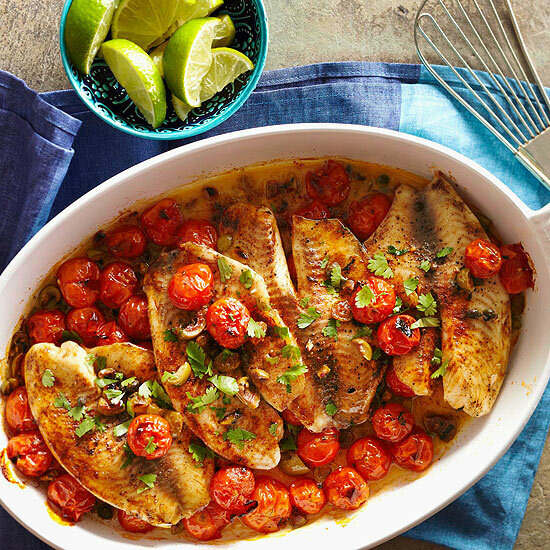 Fresh herbs finish this flavorful fish recipe that has fewer than 300 calories per serving. Healthy Mexican Recipe Tip: Tilapia not your favorite fish? Red snapper works equally well in this yummy seafood recipe. Steak for dinner on a healthy diet? You bet! 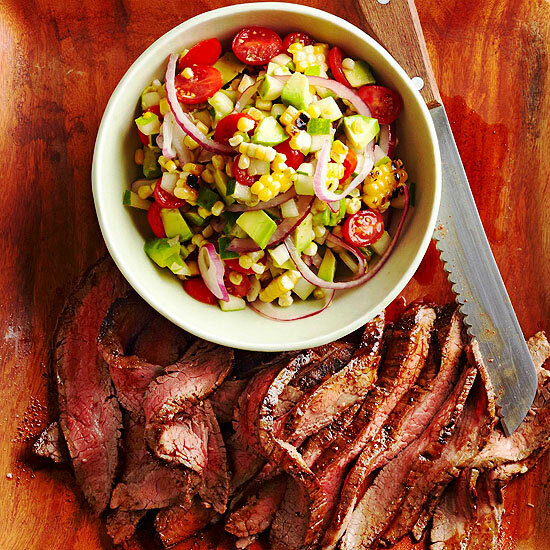 Lean cuts of beef, such as the flank steak in this recipe, are delicious additions to a healthy meal plan. 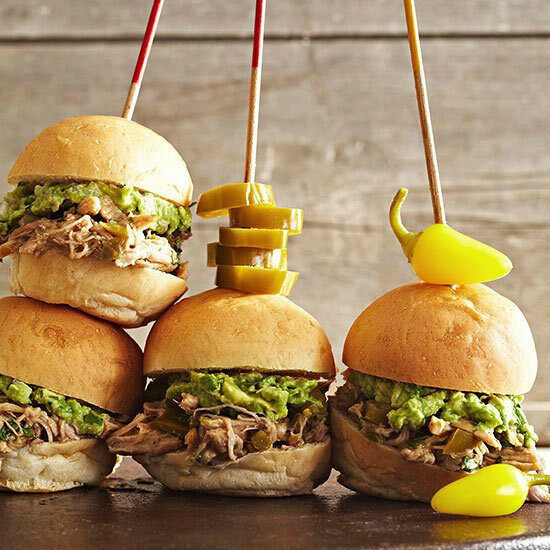 Grill with chipotle seasonings and serve with a bright homemade pico de gallo for fun Southwestern flair. There’s the traditional way to make saucy, delicious fajitas — and then there’s this easy, healthy fajita recipe featuring slow-cooked lean pork, low-cal corn tortillas, and homemade salsa verde. Top off these flavorful pockets with vitamin C-rich mango for sweet, fresh contrast. Cooking with tequila adds an unexpected depth of flavor to your dishes. 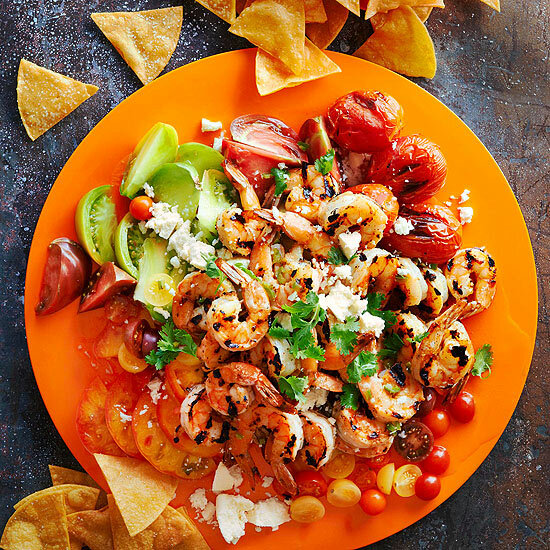 Jam-packed with grilled tomatoes, shrimp, and chile peppers, these tequila-infused nachos are a bright and healthy alternative to the high-fat Mexican classic. 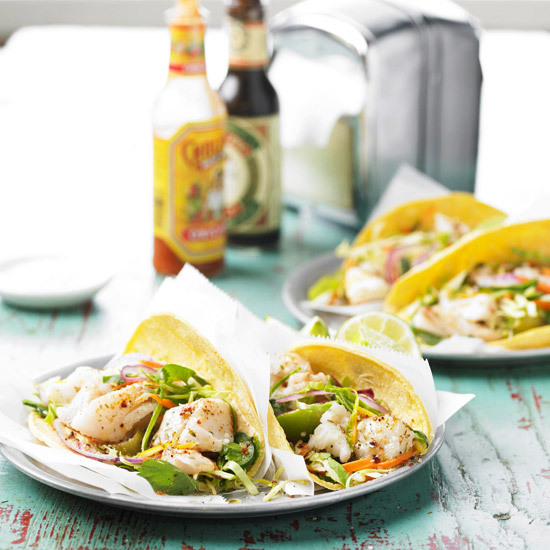 Cod and halibut are satisfying protein options to add to your favorite taco recipe. Bake the whitefish with tomatillos and citrus to impart amazing flavor, then pile it onto corn tortillas for a light but filling weeknight meal. Tinga is a shredded-meat stew that gets its smoky-hot flavor from chipotle peppers. 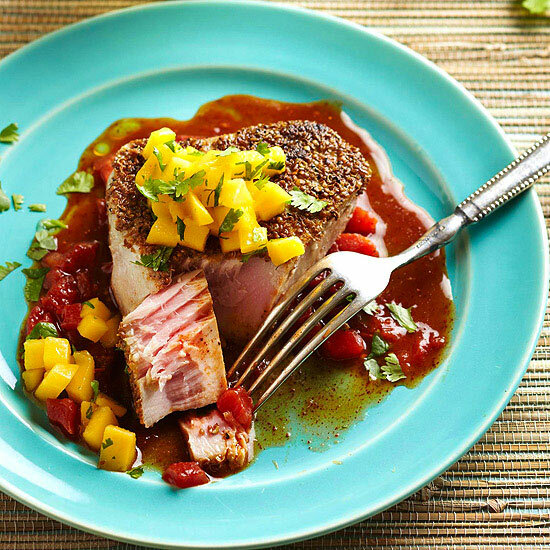 Throw in surprising fresh ingredients like sweet mango to temper the dish’s heat. Think chicken tamales won’t fit into a healthy eating plan? Think again! 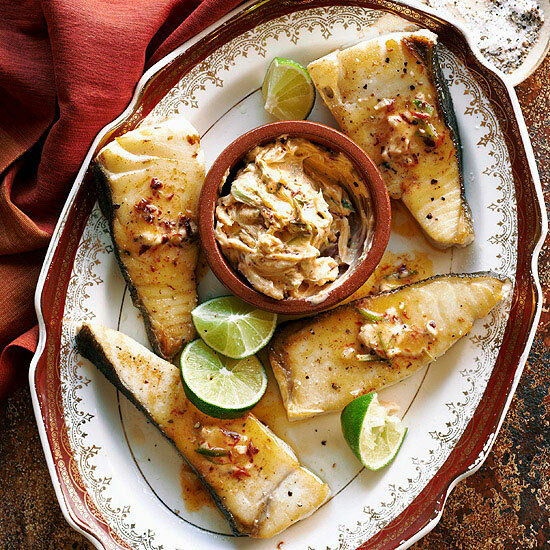 Each of these spicy, low-fat tamales stands at just a smidge over 100 calories. Dip them in fresh, zippy pico de gallo for even more flavor. 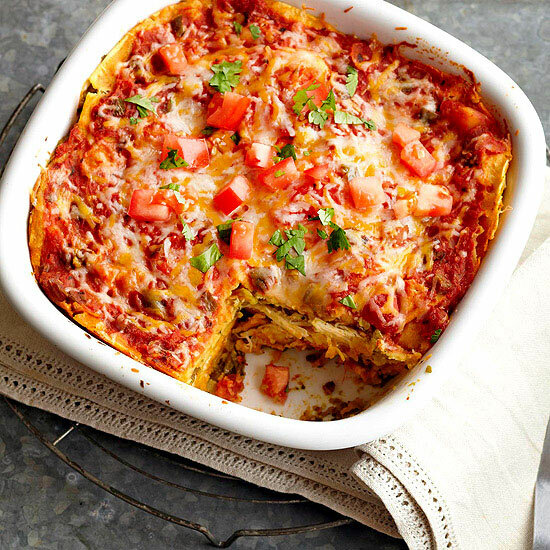 Put a fiery spin on a classic dish with these enchilada pizzas. 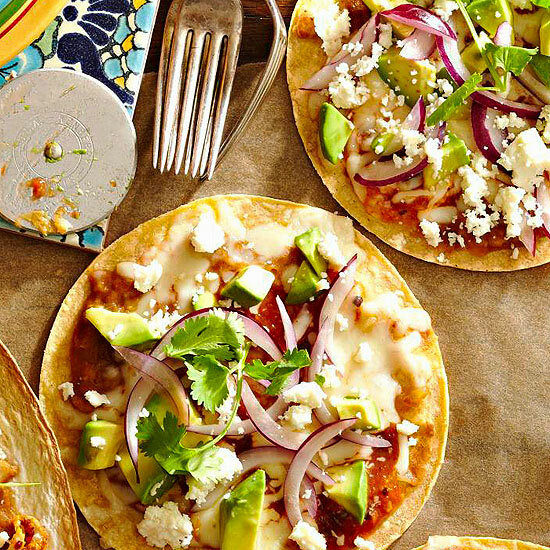 Known in Mexico as tlayudas, these spicy pizzas are a popular street food. 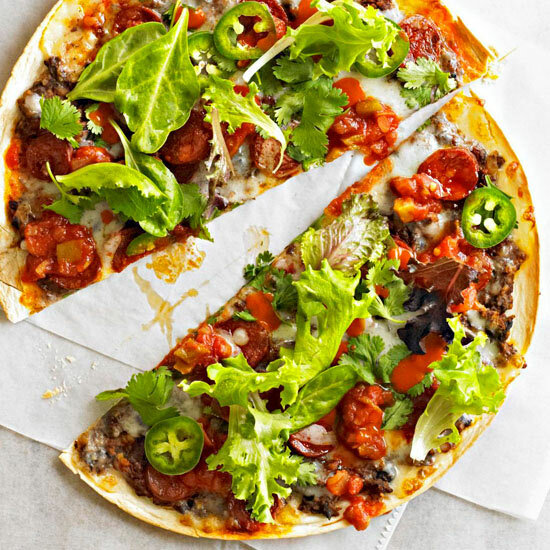 Using corn tortillas and fresh ingredients keeps these pizzas low in calories. 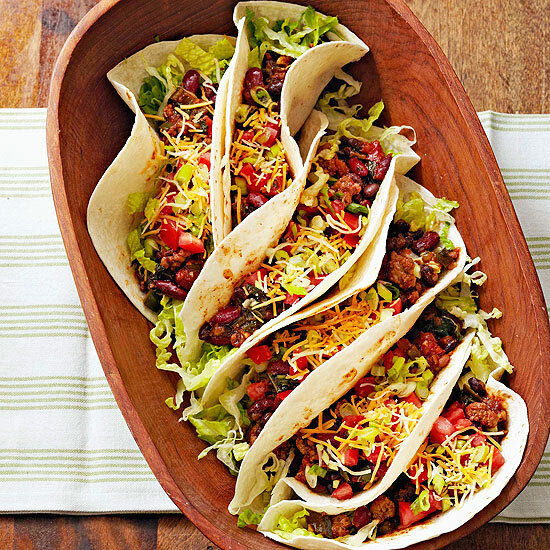 What gives this healthy taco recipe its sweet, delicious zip? It’s all about the pineapple! 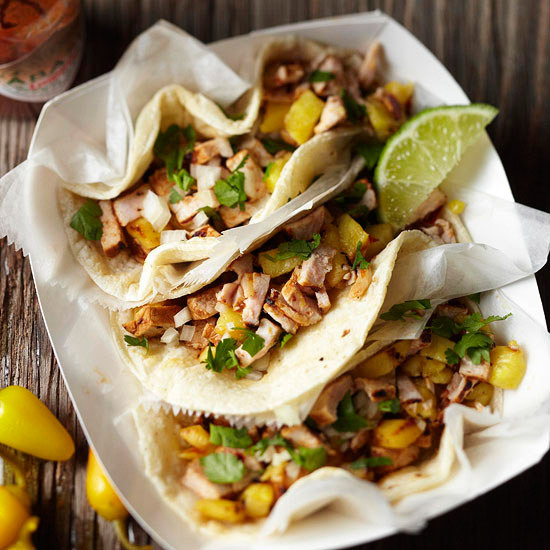 We infused tender pork with a quick marinade of pineapple juice, pureed chile peppers, and Mexican spices before grilling, dicing, and stuffing the meat into tortillas with even more sweet pineapple. Best part? Each two-taco serving clocks in at less than 400 calories! 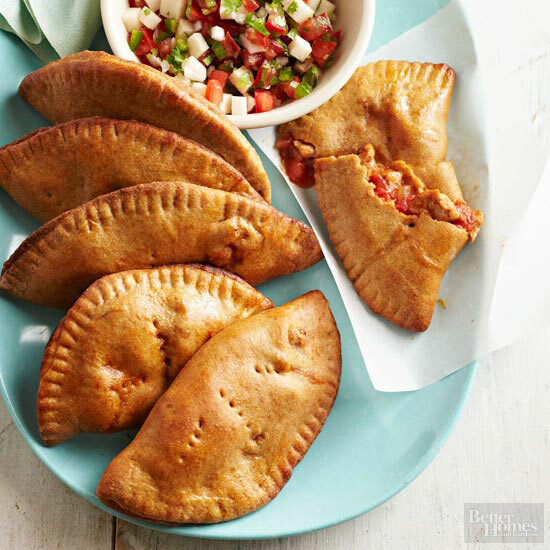 Stuffed with seasoned pork, these whole wheat empanadas are baked rather than fried, keeping them at just 8 grams of fat per serving. 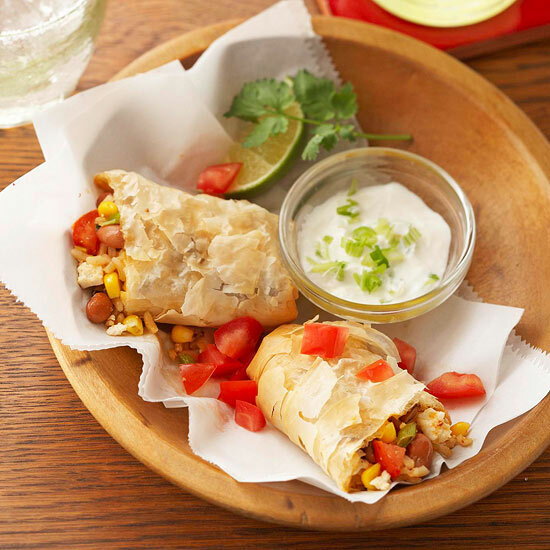 Pico de gallo blended with jicama — a turnip-like veggie native to Mexico — serves as a fresh dipping sauce for these savory pockets. Watch our tricks to getting perfectly browned ground beef to add to tacos, casseroles, and more. 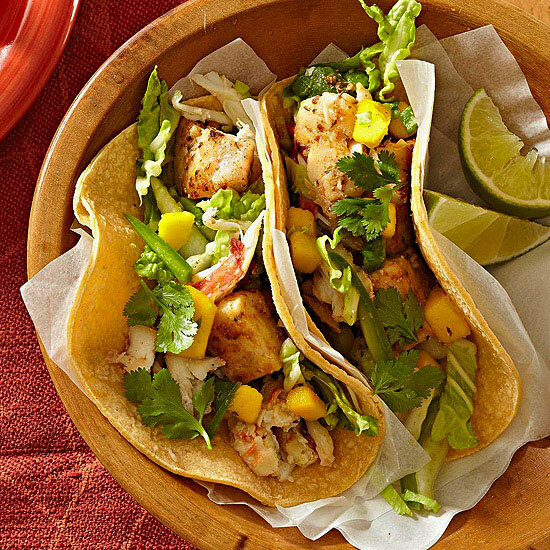 Crabmeat and snapper fillets add protein to these spicy seafood tacos, while light sour cream and fresh fruits and veggies keep this dish surprisingly low-cal. 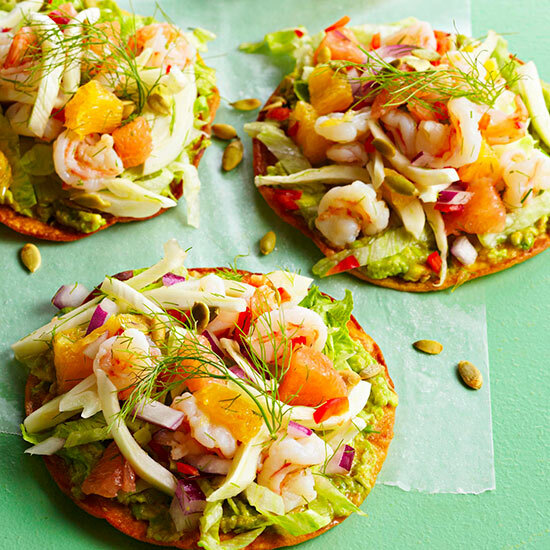 These homemade versions of popular Mexican street fare have only 309 calories per serving — perfect for your healthy diet. 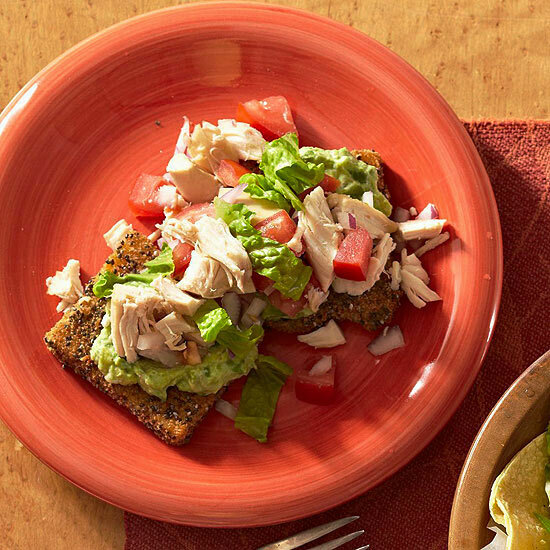 Polenta squares provide a simple base for a nutritious south-of-the-border chicken salad. Chile peppers add delectable sweetness and heat to any type of cuisine. In this easy dinner recipe, ordinary pan-seared fish becomes something special when served with chile pepper- and garlic-infused butter.